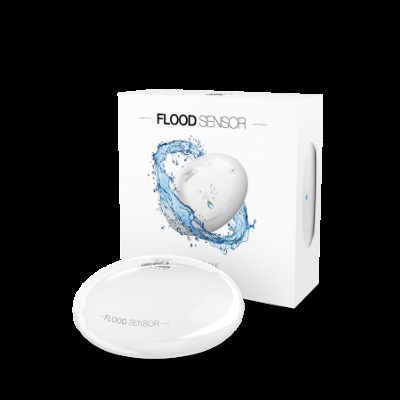 The FIBARO Flood Sensor is able to detect water as well as movement and changes in temperature. The FIBARO Flood sensor features a range of sensor functions in a beautiful, futuristic, compact design. It will alert you of a threatening flood, or a rapid temperature change. Is has very sensitive telescopic gold probes which enables it to detect water even on uneven surfaces. It has a 15 degree tilt sensor, which also acts as a tamper alert. The integrated temperature sensor makes the FIBARO Flood Sensor a perfect match to controlling in-floor heating systems or as a fire alarm sensor, by detecting rapid temperature rise. The built-in Alarm Siren will help you react quickly in case of a water flood or a rapid temperature change.